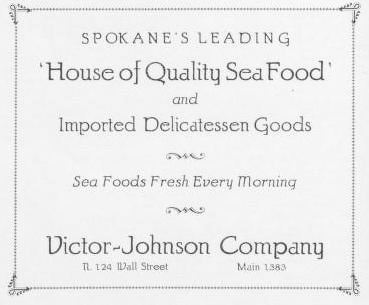 Spokane's leading 'House of Quality Seafood' and imported delicatessen goods. Sea foods fresh every morning. Main 1383.